If you follow me at all, on instagram or otherwise, you know that I'm what I'd like to call a sometimes blogger. I know that it drives people crazy. I can't help it. It gets so crazy busy during the school year that I just don't find time for it. But here it is, mid November, and I've got something awesome to share with you. Here's how this lesson came to be... I was browsing pinterest and trying to think of ways to get my kids to understand text structure. We'd done task cards, google forms, ixl, practice passages, and more. Nothing was working. Then I came across this post. 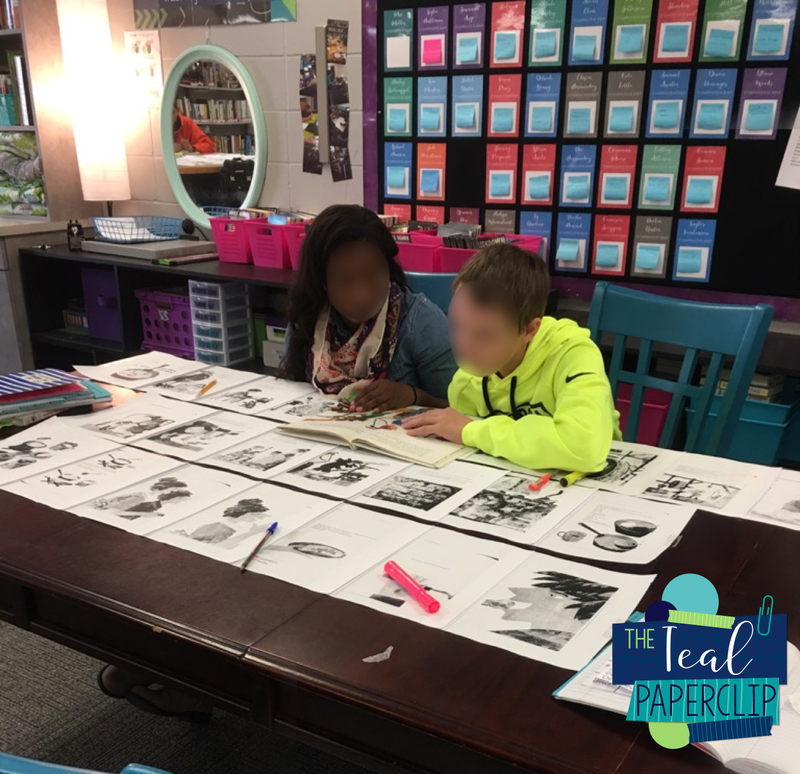 A blog from Ms. F's Teaching Adventures that talked about text scrolls. Back to pinterest for more information. Then, I found this post from Teaching My Friends. She used text scrolls to map text features. Tada! Lightbulb moment. This was how I was going to engage my sophomores and teach them text structure: text scrolls! 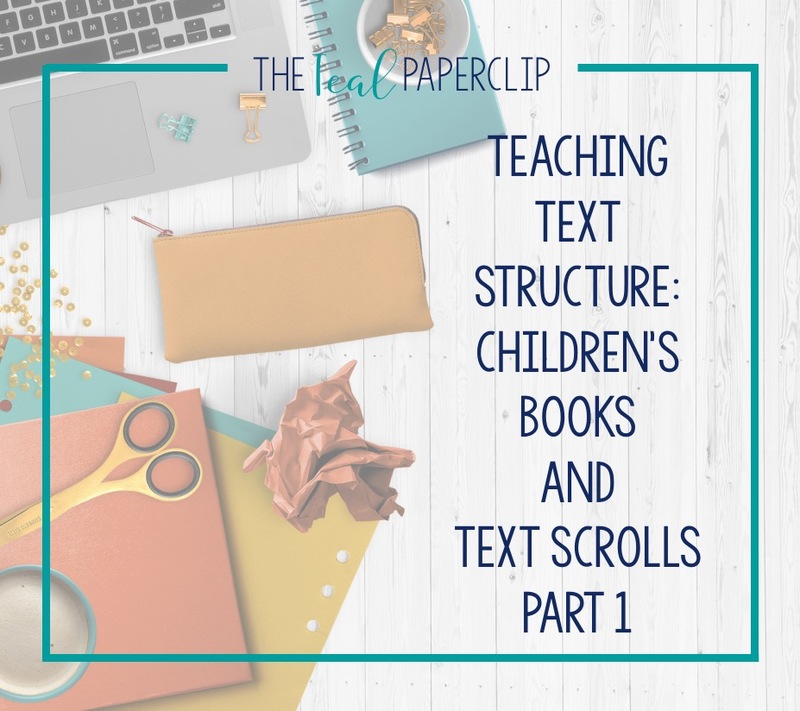 Essentially, text scrolls are taking a text and creating a scroll so that students can see all of the text at once instead of on separate pages. This helps them to wrap their mind around the content because it's all in one place. Next came my moment of temporary defeat. A paragraph wasn't long enough to use as a text scroll and our novels were WAY TOO LONG. Bleh. Back to the drawing board, read Pinterest. 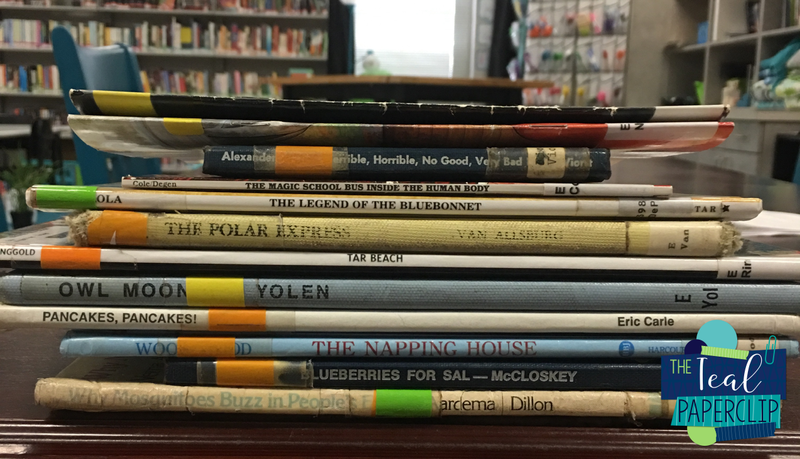 Finally, I hit the jackpot: Using Picture Books to Teach Text Structure. YES! Yes! yes! I was soooo excited! So I ran to our primary school and asked our librarian for some help. I printed out the list of picture books by text structure from the link above. I told her that I just needed two or three from each category, so she just pulled some of the more recognizable books. Next was the challenging part. Scanning all of these books so that I could somehow make a text scroll. The thought of trying to get our ancient copy machine to work well enough to copy each page correctly was a nightmare. Then I remembered an app I had used before. Microsoft Lens. Ok, so this app is super nifty. Here's how it works. You open the app and choose document. Then you put the document, or in our case the children's book, under the camera. It recognizes the edges of each page. When you snap the photo it automatically crops it for you. So, for the sake of showing you how awesome this is... I used this inspirational teaching book. In this picture, you can see how the app is focusing only on the right hand page. It creates a square around the featured area and whites everything else out. 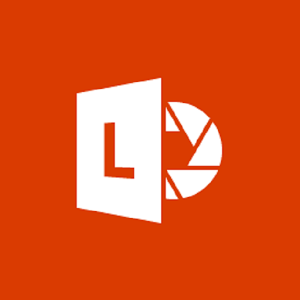 Once you snap the picture, it crops it for you and sends your pictures to one screen. You can then select specific pictures, and it gives you options for how to export them. Because it will only let you save ten pictures at a time, I just chose to send mine to my photo library and create a pdf later on. It was amazingly easy! Awesomesauce kind of wonderful! Ok, back to the point. I printed out three copies of each book. I have three classes, so I needed a scroll from each category for each class. Five structures times three classes equals 15 text scrolls. Whew! It was a task, but it was soooo worth it. Essentially, you just lay the pages out and tape them together. I taped mine in 4-5 sets of 6-7 pages so that it would fit on the tables. If you had a short book or a super long workspace, you could just tape them all in one long strip. This was Pancakes, Pancakes by Eric Carle. You can see how I taped those together side by side. 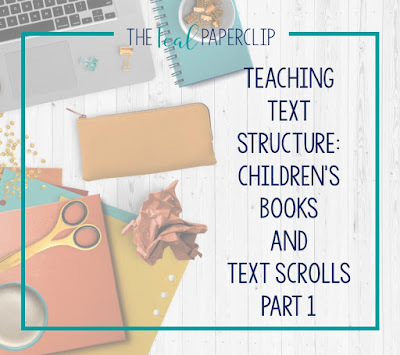 -How can using children’s books to analyzing text structure, purpose, and main idea help us on our way to analyzing longer more complex texts? -How would you say that text structure and author’s purpose related? -How can we use these reading strategies to help us comprehend informational text in other classes? At this point, we were ready to start the engaging part of the lesson. Interested in seeing how it turned out? Check back for part 2 of the post. Have you used text scrolls before? What did you use them for? Did you like them, why or why not?